WHAT: Rebecca Skloot, author of the New York Times bestseller, The Immortal Life of Henrietta Lacks, will kick off the 10th Annual MU Life Sciences and Society Program (LSSP) Annual Symposium with a discussion of her book. Focusing on Henrietta Lacks, whose cells—taken without her knowledge—led to the development of the polio vaccine and gene mapping among other breakthroughs, will soon be made into an HBO movie by Oprah Winfrey and Alan Ball. 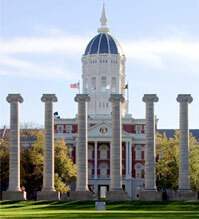 The 10th Annual LSSP will be held at the University of Missouri campus from March 10- 15. This year’s theme, “Decoding Science,” aims to bridge the gap between the highly technical language often associated with scientific research and the public’s need for a simpler explanation of the research. WHERE: The presentation will be held in Jesse Auditorium. Media are encouraged to see MU News Bureau staff in the lobby of Jesse Auditorium prior to the event. No ticket required for press; however, press credentials will be checked.